To make your gift online by credit card, please visit law.hofstra.edu/OnlineGiving. Gifts of appreciated securities can be beneficial to the donor as well as to the Maurice A. Deane School of Law at Hofstra University. No capital gains tax is paid upon the transfer of stock, and the donor receives an income tax charitable deduction for the full fair market value of the stock on the date of the gift. Stock transfer can be made through a broker, by mail or by hand. Please call the Office of External Relations at 516-463-4673 for more information. Some companies and law firms will match the charitable contribution of an employee or spouse, allowing the donor to increase his or her gift. If your employer or spouse’s employer has a matching gift program, you can obtain a matching gift form from your human resources department, complete and sign it, and submit the form with your gift. For more information on companies that have matching gift programs, visit www.matchinggift.com/Hofstra. 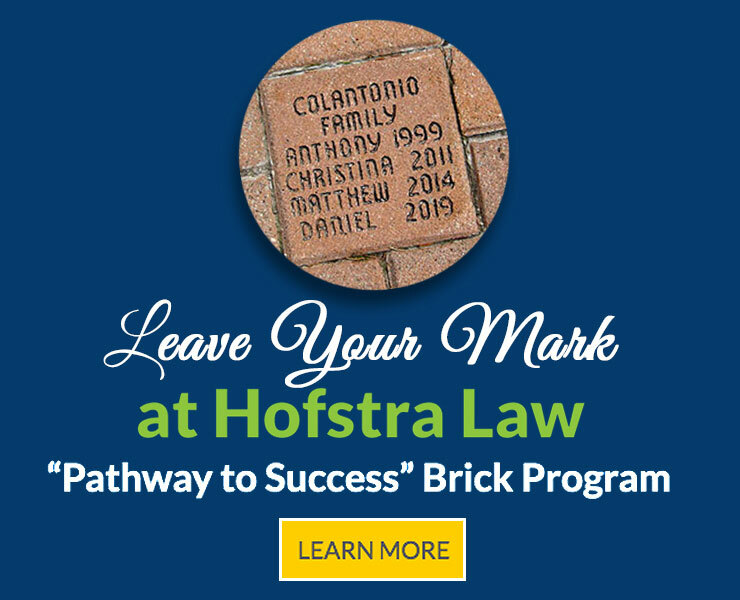 A planned gift is a tangible way to endorse the mission of Hofstra Law and to ensure its work for the future. We are grateful to those who have already stepped forward to make such commitments and trust that their leadership will inspire others. Although most people think of planned gifts as involving large sums of money, many are relatively modest in size. All are important, however, and will have an impact on future programs. For more information on arranging these donations, please contact the Office of External Relations at 516-463-4673. * Please let us know if you have already included Hofstra Law in your will.